Prepare the frosting by whisking all the ingredients together until light and smooth. Spread the frosting on top and down the sides of your cake. * I use TREX for my vegetable shortening. 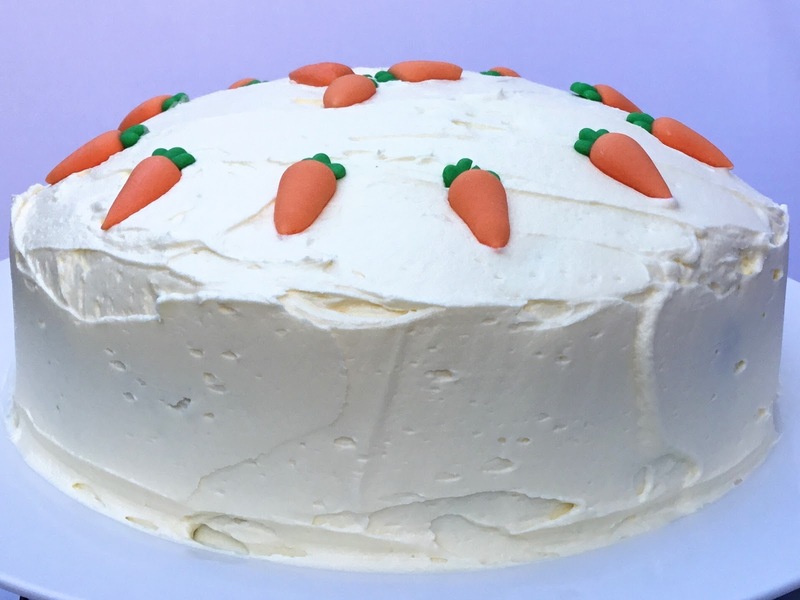 It is lighter in colour than dairy-free margarine which gives a fantastic and tasty alternative to the traditional cream cheese frosting on carrot cakes.